Hello Friends! I hope you are well. 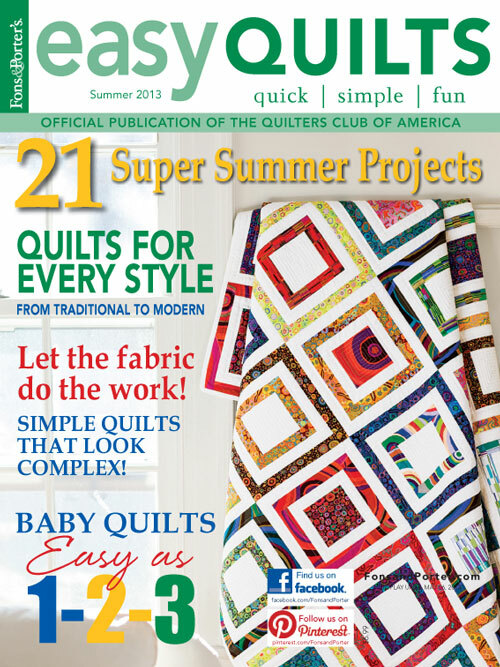 Have you seen the latest Summer 2013 Fons and Porter‘s Easy Quilt issue? 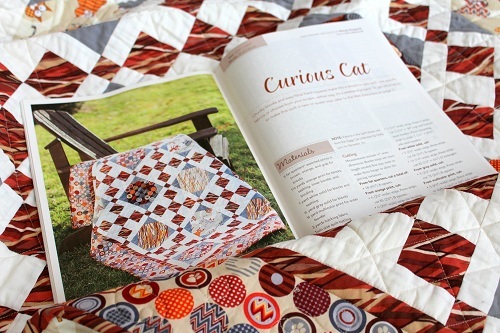 I want to say “Thank You” to those who wrote to tell me you saw my Curious Cats quilt in the magazine issue, way before I received my copy! You see, oftentimes I have several quilts waiting to be placed at Fons and Porter, and I normally don’t know what gets placed where, until a magazine issue is officially out. Back to Curious Cats… here is another behind-the-scenes snippet to share. There were many an email exchanged between the editorial team and myself while we were finalizing the design. I think the design went through like eight revisions before I received the final green light. I said all that to share with you magazine editors are very serious about featuring in their magazines what they think as the best and most helpful to their readers. When you think of it, drop a line and thank the editors of the magazines you receive. You will encourage them greatly. This design majors in versatility in that it uses two of the easiest and most common blocks to highlight the fabrics in Benartex’s Ziggy Cat collection. This easy to put together, weekend project sort of quilt makes a quick gift, or a quilt that’s meant to be used. I call our “meant to be used” quilts car quilts because I always take them with me on my way out to the car to bundle Miss Baby in the cold months. 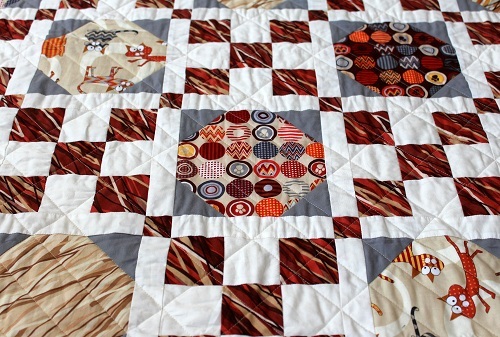 Quilting was done using Aurifil Mako 50 Cotton thread over Hobbs Tuscany Silk batting. Looking at the overall look, I think you would agree with me feathers won’t probably feel at home. So I opted for straight line quilting, with a bit of a twist to the grid. 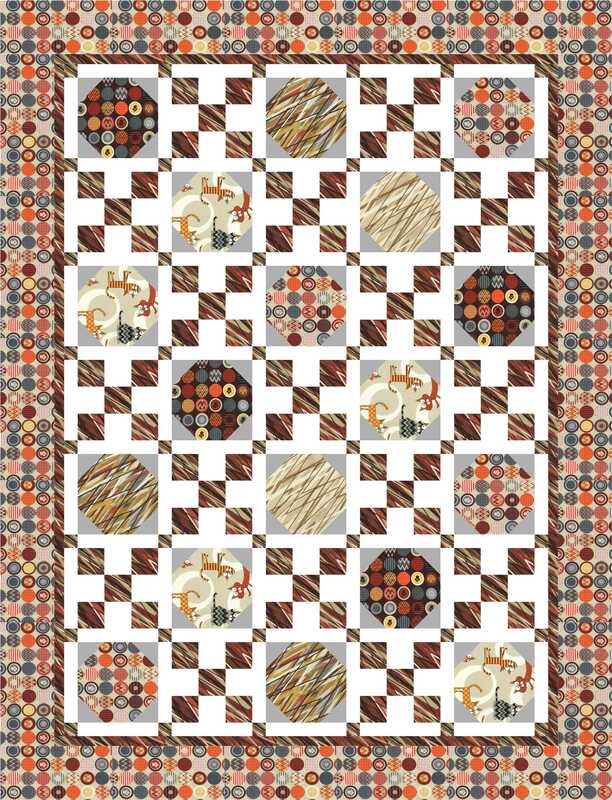 Click here to purchase the quilt kits. You may also click here to access the material lists if you want to make the quilt in twin or queen sizes. I hope you liked seeing my Curious Cats. Now, curious mind wants to know what fabrics you will use in the designs if the cats aren’t your thing! 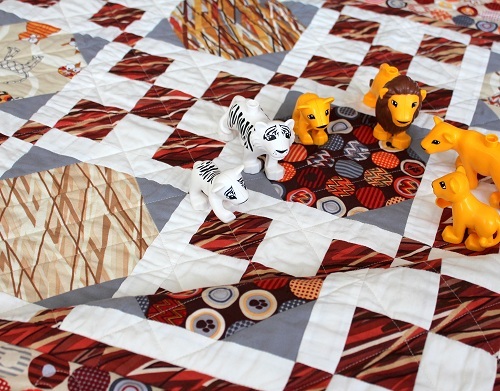 Keep the ideas coming – you might help a fellow reader decide just the fabrics to use in a design like my Curious Cats quilt! 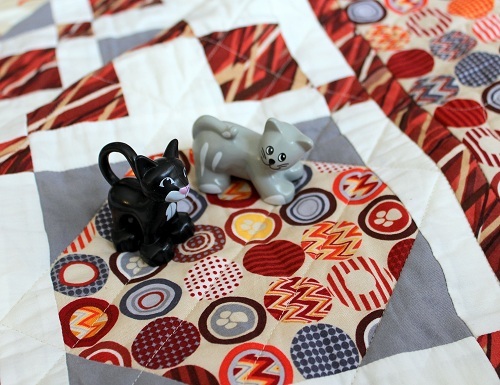 This entry was posted in Quilt kit, Quilt Pattern, Quilting, Quilts & Projects: Published, Quilts: Pieced and tagged Benartex Ziggy Cats, Fons and Porter Easy Quilts Summer 2013, Wendy Sheppard Designs. Bookmark the permalink. I love cats, and I love this design – this may be the design I’ll use for my next grandbaby’s quilt, which I need to begin really soon! These fabrics would be great since we won’t know the baby’s gender until s/he is born. Charming cat quilt!! Recently I have been drawn to fabrics that are sewing themed. The cat portions could be replaced with fabrics that have thread spools, needles or pincushions printed on them. 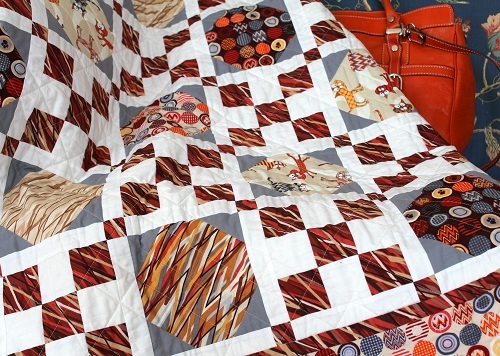 Very classic, quick and easy quilt pattern and good to highlight those particular fabrics! It would work for sewing themed fabrics and I would like puppy or zoo or jungle fabrics, too. 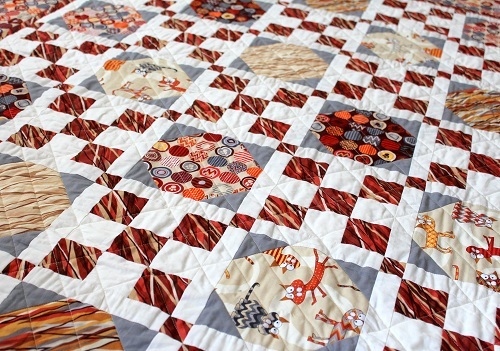 I liked the straight line quilting as it seemed the best for the pattern and busy fabrics….simple and straightforward without anything to detract from the fun fabrics. my extensive quilting won’t be harmed. Fun quilt. Think that I would look through my stash of florals. I always seem to gravitate in that direction.